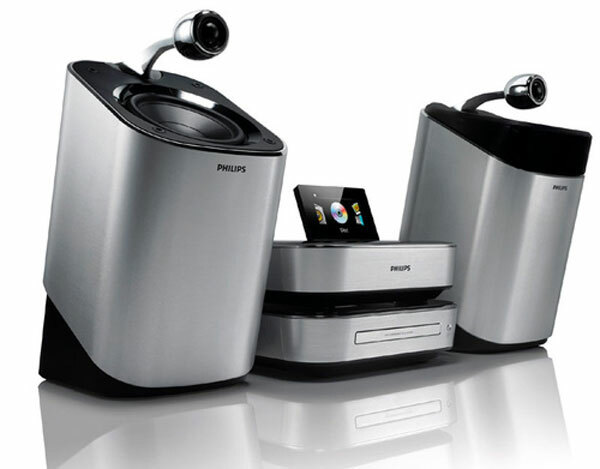 Philips seems to be releasing a lot of new products this week, today we have some new home stereos with a funky design, the Philips SoundSphere Stereos. There will be two models available in the Philips SoundSphere range, the MCI900 and MCD900, and both of these new stereos come with a pair of speakers, and as you can see from the photos the tweeters are located on the top of the speakers. The speakers are actually made from a single piece of aluminum and the tweeter design is supposed to produce a more natural sound. Specifications wise both come with built in CD players and USB ports, the MC1900 features Philips Streamium technology, which is designed to let you listen to a range of Internet radio stations and stream tunes from your PC. 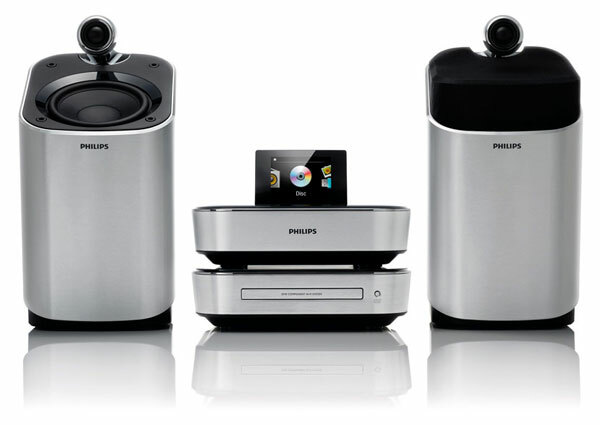 There is also a 160GB hard drive built in so you can store you favourite tunes on the Philips SoundSphere. There are no details on pricing or availability as yet.